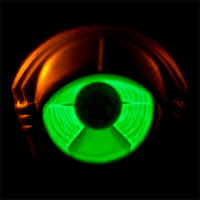 The Little Red Umbrella: The Stuff of 2011: My Morning Jacket's "Outta My System"
The Stuff of 2011: My Morning Jacket's "Outta My System"
How can you not love a song that opens with the line “They told me not to smoke drugs / but I wouldn't listen”? I love this ever-evolving band not only for their excellent guitar handling but for their sense of humour. Both qualities are on display to great effect on this track, which I probably listened to about 500 times this year. "Outta My System" was chosen by Erin Letson, a Toronto-based writer and editor who blogs about digestive health at Fix My Gut (www.fixmygut.com). You can follow her on Twitter @erinletson.